One of the most classic board games that people will never forget is Monopoly. It’s the first of its kind where the player wins by being the richest in the group, and getting the other players bankrupt. Today, there is a new board game that attempts to upstage Monopoly, and strives to teach people financial literacy. It may seem puzzling at first how a board game can be the key to financial success, especially when the a cardboard game, some paper money and tokens cost $200 in all. But those who begin to understand the principles of the game can really attest to the way the game opens your mind to the world of personal finance and investing. Cashflow 101 was created by millionaire Robert Kiyosaki, the author of Rich Dad Poor Dad, and the Rich Dad series. His mission “to elevate the financial knowledge of humanity” came alive upon the popularization of this board game. So what exactly is in it? The game consists of a board, paper money, 4 pads of game cards, occupation cards, tokens, playing dice, and an instruction manual. So how can all of this amount to $200? Basically, it’s not the added cost of the materials that gave the board game its price, it’s the education it gives. Think about going to a finance seminar with a well-known financial guru, how much will that cost? Probably way more than $200. The Cashflow 101 game encourages its players to keep track of their financial statements, make investment decisions regarding small and big deals, and even keep up with extraordinary life events such as having a baby and losing your job. The beauty about the game is that it exposes you to things that could happen to your life. Whether you make the wrong decisions or the right ones, it’s just a game! And when it happens in real life, you’ll know what to do. It is said that every time the Cashflow game is played, players get different life and finance lessons, and it’s advised to keep on playing the game until you’re ready to apply the lessons for real. Opportunities include investing in the stock market, buying real estate properties, entering into a limited partnership, starting a company, and even buying gold. You’ll also be faced with unusual circumstances such as when your sister-in-law borrows money. 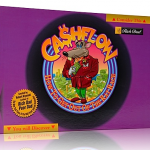 Cashflow 101 is a game that brings to light the rat race that we are all stuck in. The goal of the game is to get out of the rat race and into the fast track. The way to do it is by increasing your passive income, and making it bigger than your expenses. Though the game could be considered as “expensive”, just remember that it costs a whole lot more to be financially ignorant. Get yourself in the game, and find out if you’re living in the rat race and what you can do to get out of it.